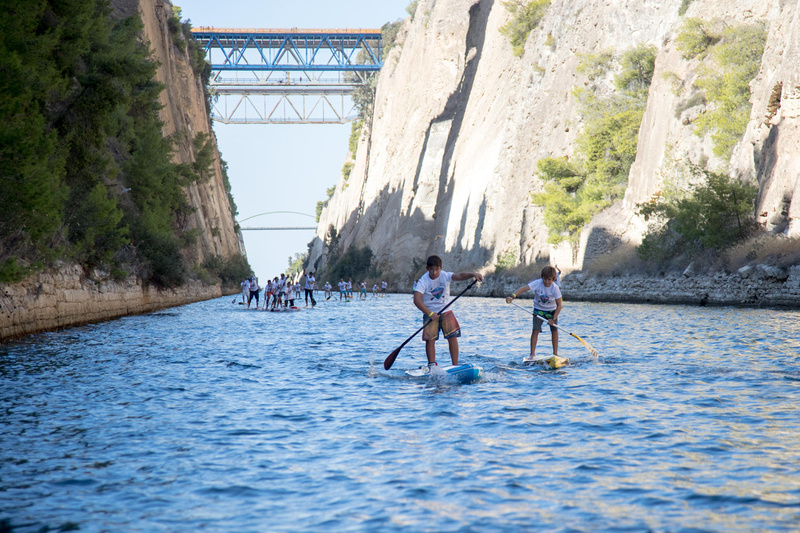 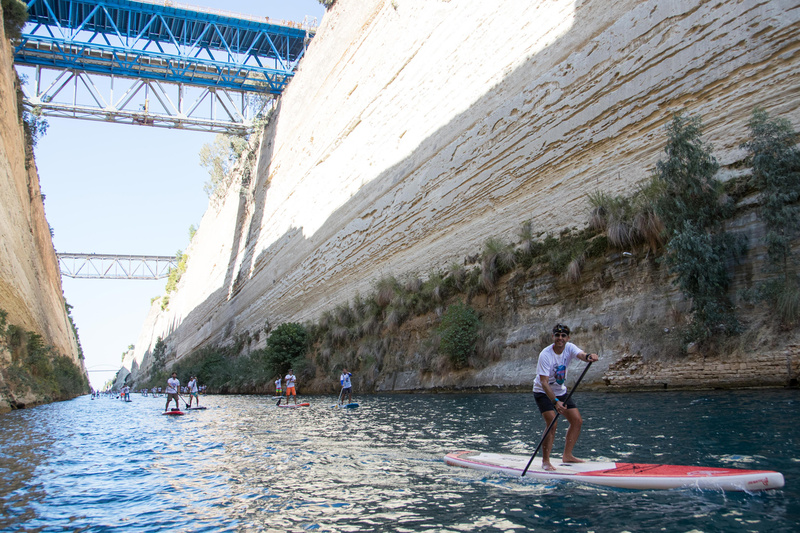 On Sunday October 15th 2017, the vessel traffic in the Corinth Canal was interrupted for the 283 paddlers, where they lined up just before the sinking bridge of Posidonia for the 7th Annual Corinth Canal SUP Crossing. 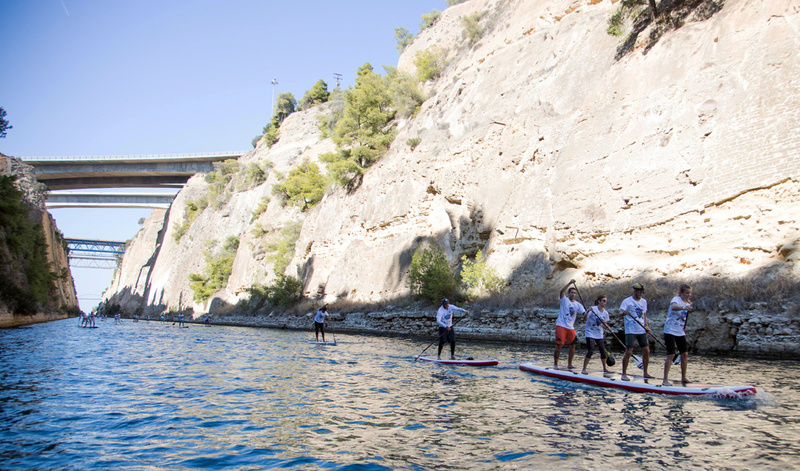 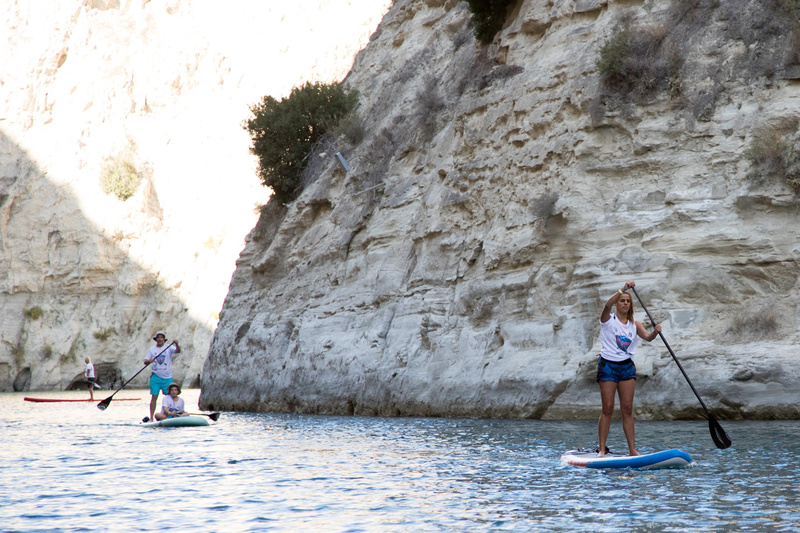 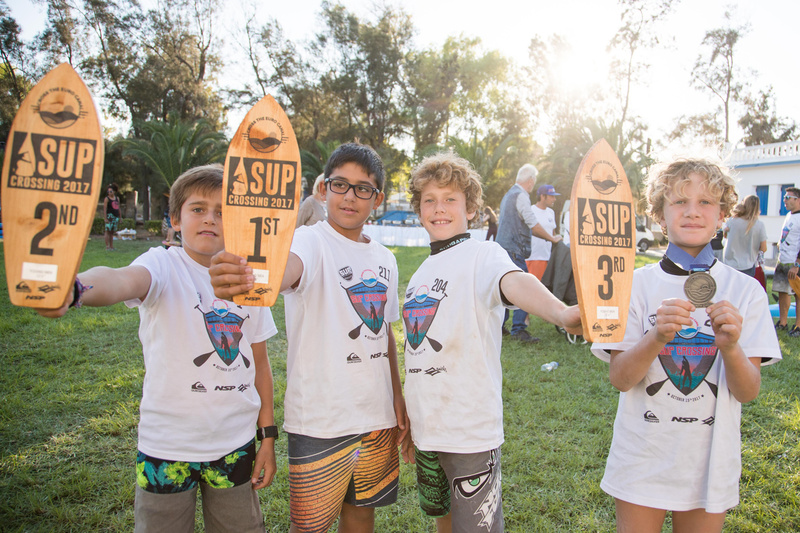 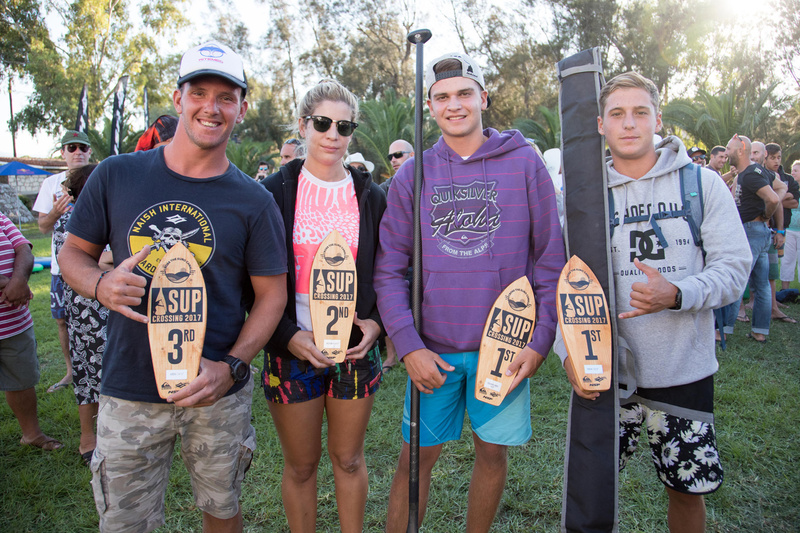 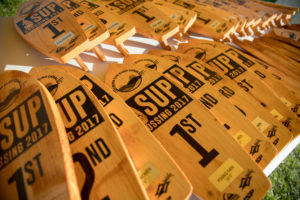 This year the race was a milestone for the sport of SUP but also for the event itself. 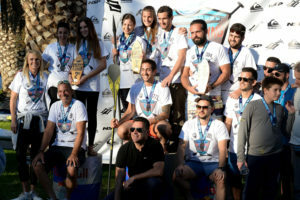 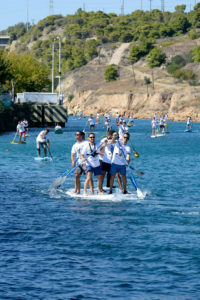 The registered paddlers exceeded every forecast, touching the record breaking number of 325, with participations from every corner of Greece and lot of other countries like Cyprus, U.K., Slovenia, Austria, Germany and Russia. 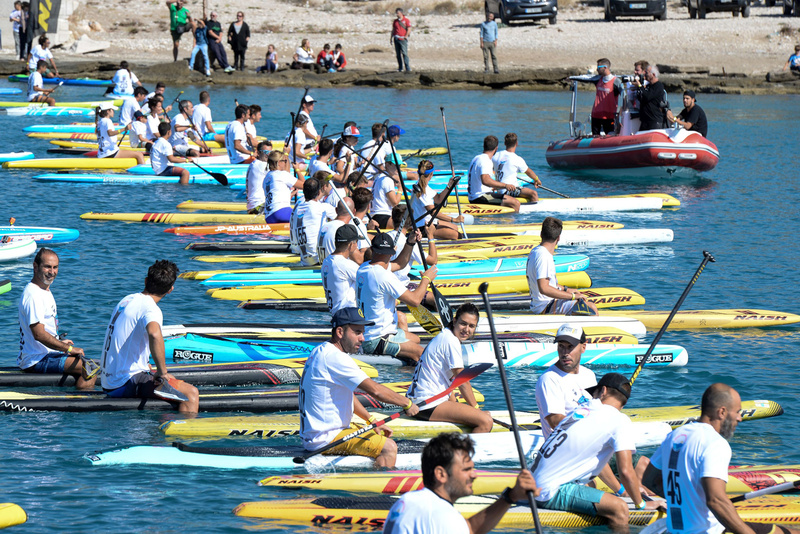 The race, which started as an idea in 2010, ended up today, to become one of the biggest watersports events in Greece. 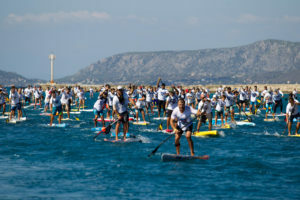 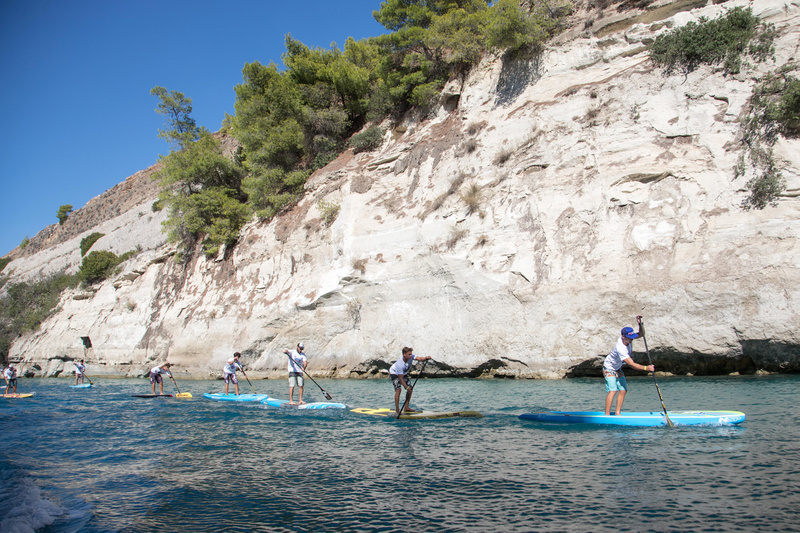 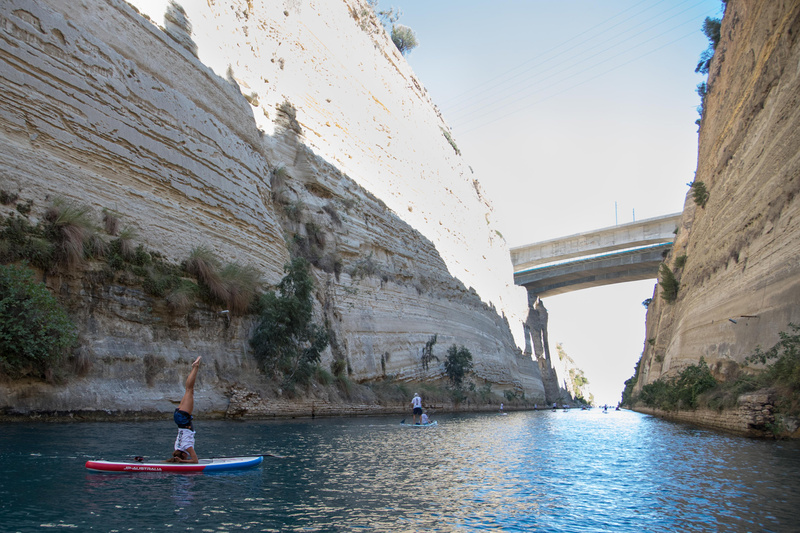 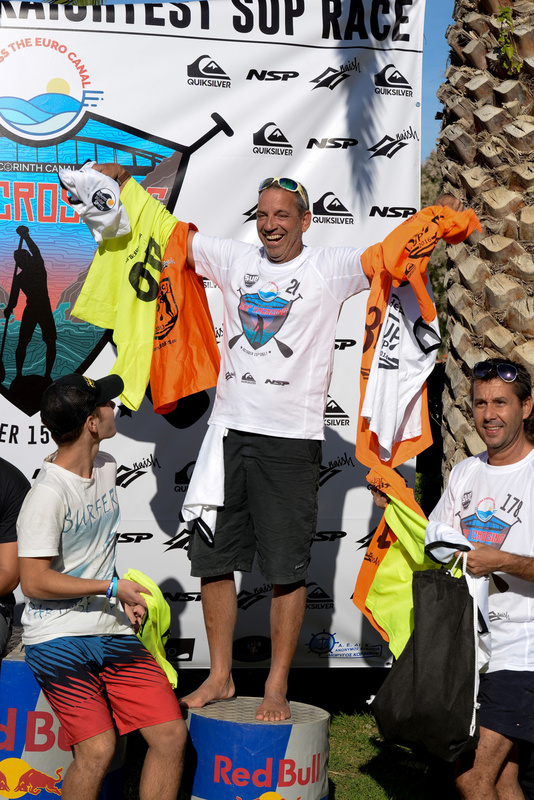 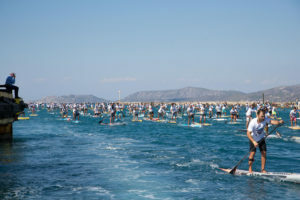 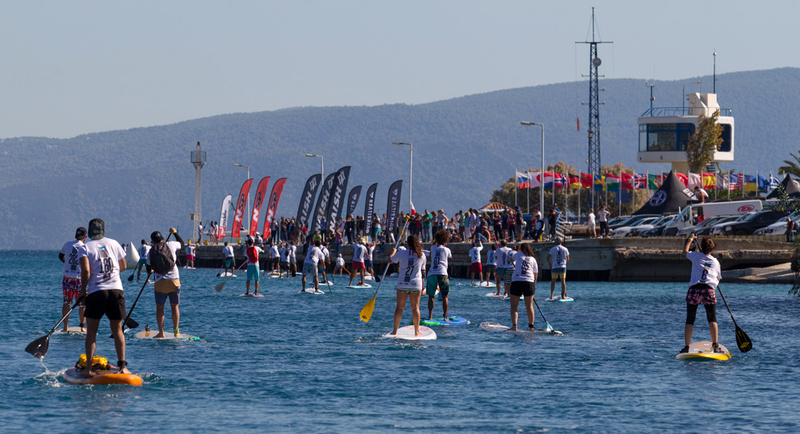 “The world straightest SUP race” as it is known, has triggered the interest of the world wide SUP community, sending out the message for Greece’s potential in big SUP events, highlighting the culture and history of the country. 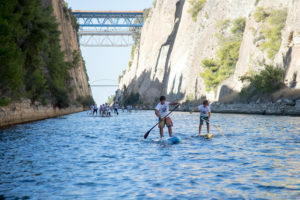 The Corinth Canal was declared recently as the “biggest canal of Europe”. The crystal clear blue, calm waters flowing along the 6.453m of its length, between the massive 80m high walls, is the perfect track for any kind of paddler. 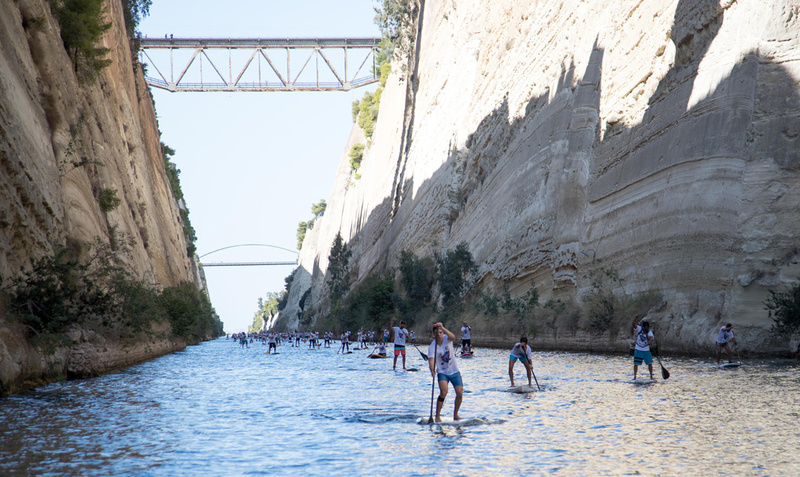 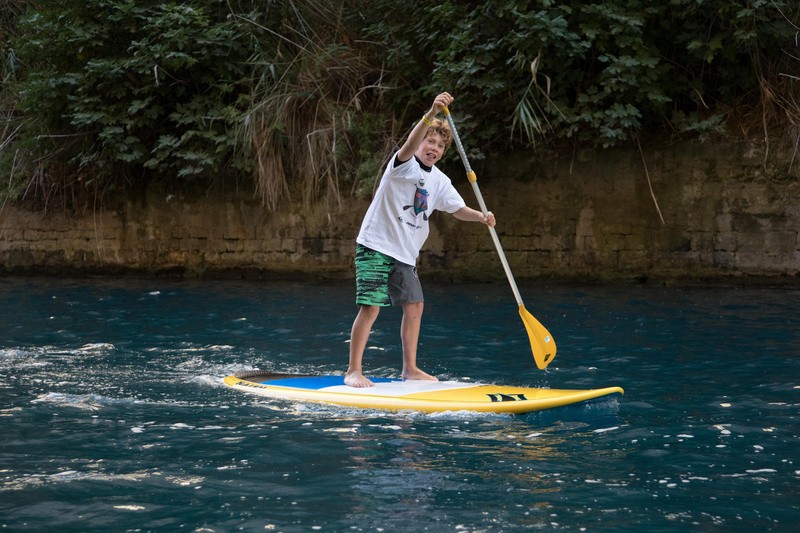 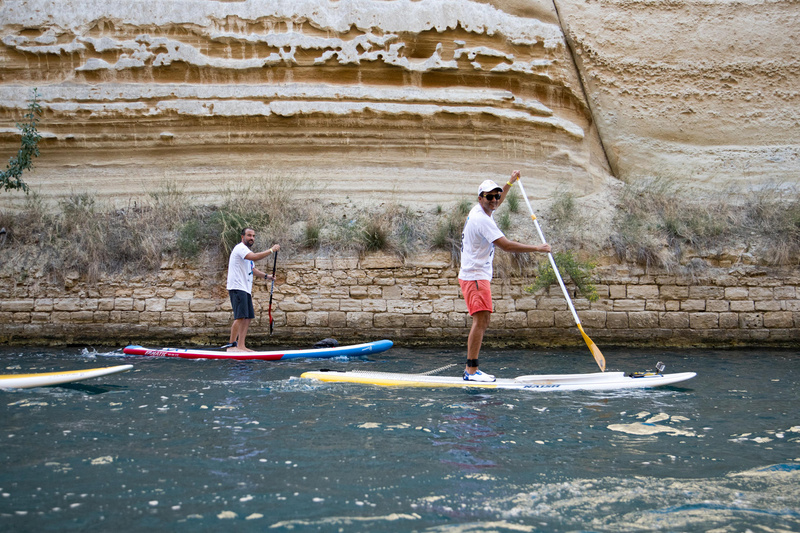 The race is the only chance every year that someone has, to cross the canal with a SUP! 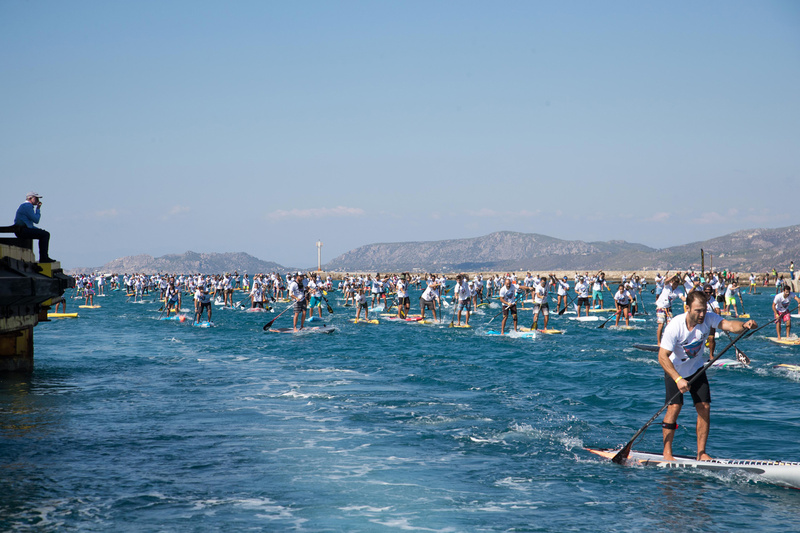 The starting line was appointed at Posidonia, the western side of the canal, beside the remains of ancient Diolkos. 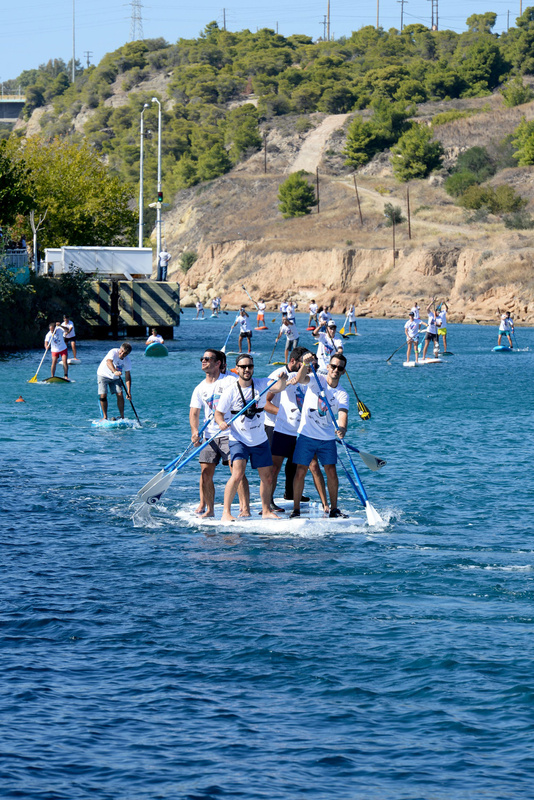 The picture of the paddlers waiting just before the sinking bridge was something magnificent! 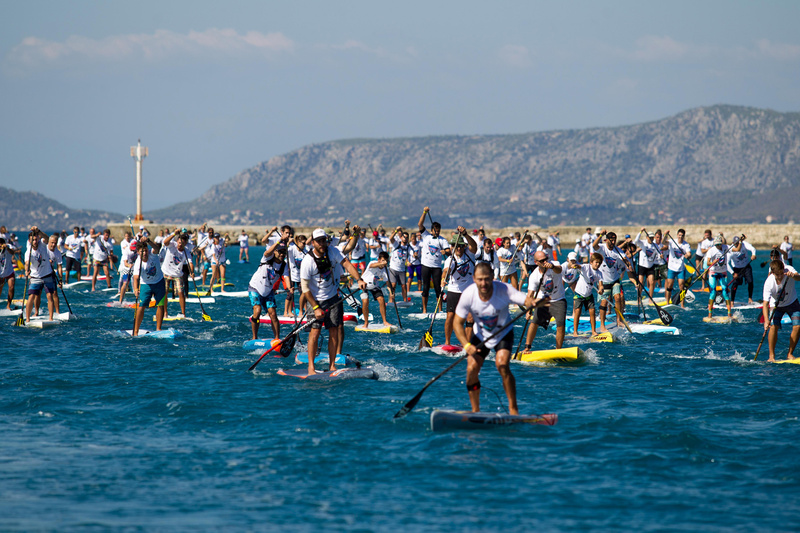 The extraordinary was that among the participants were little kids with their parents, women and men of all ages, experienced athletes but also beginners and amateurs, with only one thing in common… to have a great time!! 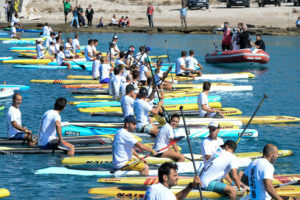 And that was something obvious on everyone’s smiling face, paddling with passion for the best. 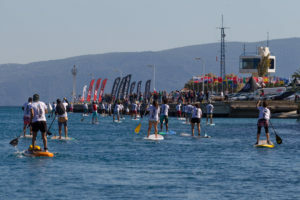 At Isthmia, the eastern side of the canal, finish line was on water beside the Control tower of the canal. 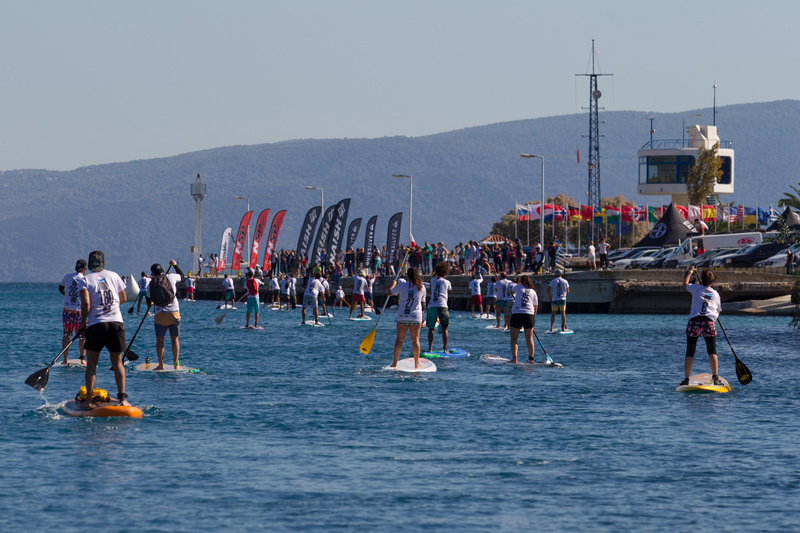 It has to be a special mention that every single paddler managed to finish the race, even if it was an athlete, amateur, little kid or an adult. “That was a successful race…” as organizers told. 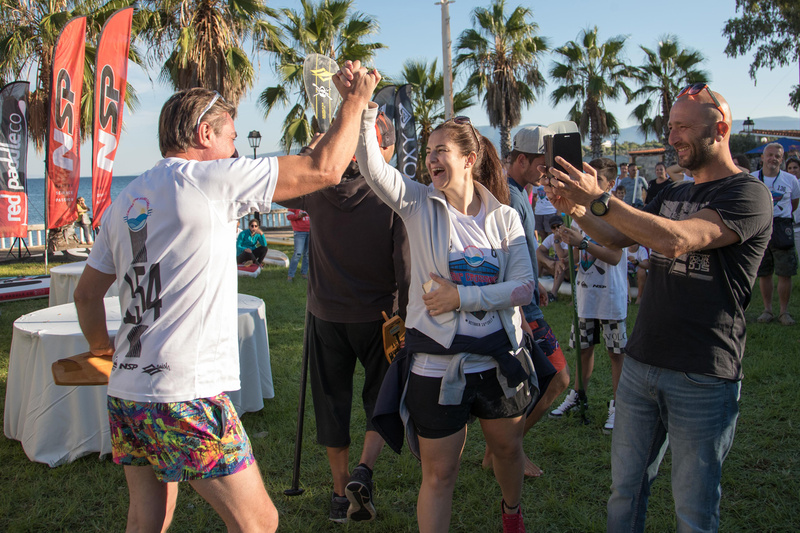 Big winners of the race were Nikos Syrigos and Konstantina Kontarini in 14’0″ class men and women accordingly.